Autor: Elite E Services, Inc.
Penny Splitter (PS) is a strategy that trades on a single pair, every x pips, with a small trade, betting on a trend reversal. PS has very simple logic; If the pair is going up it sells, and if the pair is going down, it buys. 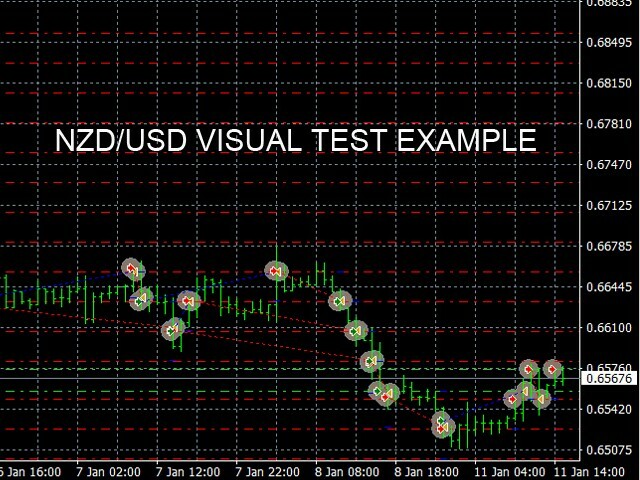 It uses small trades and gradually increases by counting (i.e. 1,2,3,4,5,6); and thus 'legging in' to a trade rather than trying to pick the perfect entry point. The strategy was coded as a framework, so by modification of settings it can be a completely different program. The EA settings are per pair - calculate accordingly! 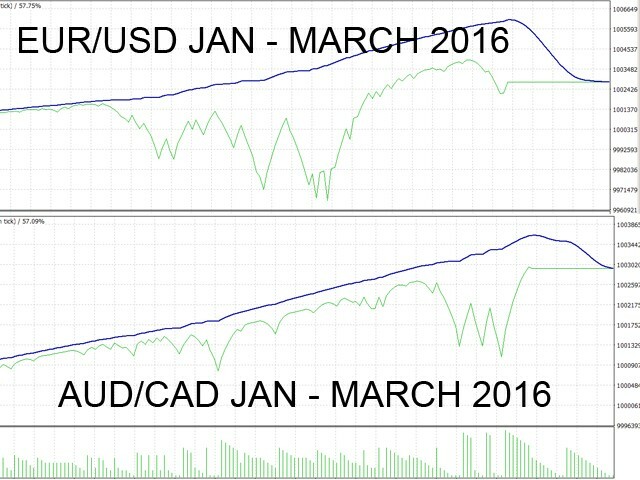 Although PS doesn't require a specific spread to be profitable, the spread always increases the cost of trading. Thus, a better spread and broker generally will mean better results for the EA. 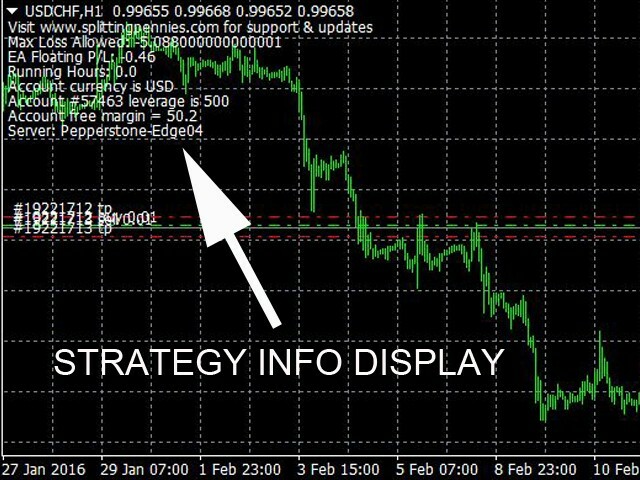 In addition, this strategy can be used as a tactical strategy; for example during the 10 - 12 hours leading up to a news announcement such as NFP when markets are quiet, non-volatile, and range bound. Pure Grid - In this case, PS acts as a 'hedged grid' - it begins by buying and selling. As the pair moves against you, it will buy more. But as it has the profit, it will take it. It is a grid concept but hedged, meaning that although it does have floating loss, it always books profits. Martingale - By setting the multiplier to '2' subsequent orders will be doubled. Buy or Sell "Risk On" - Buying or Selling can be turned on or off - that means if you are very bearish on a pair, load the EA in Sell mode, and the EA will sell when the price goes up, and take profit. Trade_Sell - When set to "True" the EA will sell. MagicNumber - Magic Number, should be different on each instance; in order to avoid order confusion. 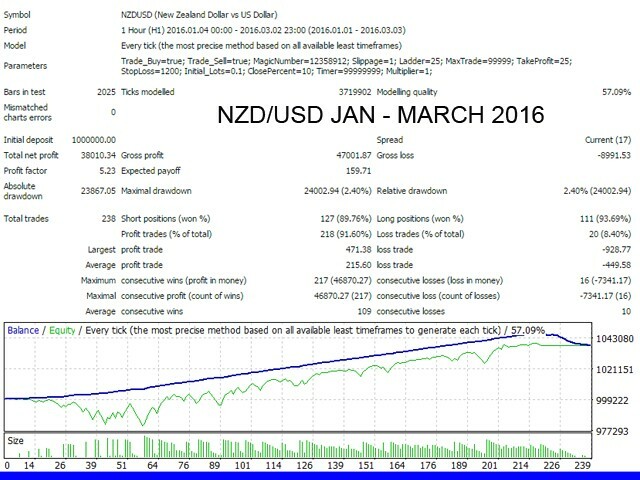 Slippage - Max slippage allowed in pips. Ladder - Distance of grid level. EA will buy / sell every pips according to this value. Should be the same as Take Profit, but does not have to be. It is not correlated to Take Profit. MaxTrade - Maximum total trades allowed on that pair. If max trade is reached, EA will not trade more on that pair. TakeProfit - Take profit of each order. This is individual take profit on each order, a static value. StopLoss - Stop loss of each order. Can be used to 'wash out' large floaters, if using a wide grid. For normal operation, set to 5,000 to turn off. Initial_Lots - Lot size for each order. 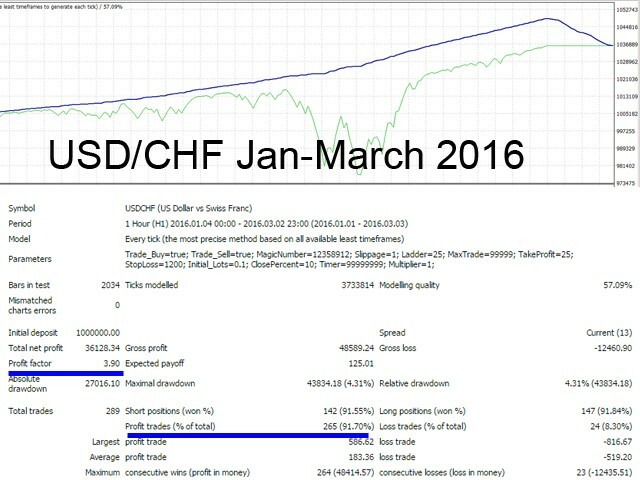 If initial lots is 1, and multiplier is 1, trades will increase by 1,2,3,4,5,6,7 and so on. Suggested setting initial lots to a value about 10% of account size, so if the account size is 100,000 - starting with initial lots of 10,000 would be appropriate. ClosePercent - Max percent drawdown (DD) allowed PER PAIR. DD is calculated from starting equity for the whole account, and then loss for the EA in real time. For example, if there is a $10,000 and close percent is set to 10, if the EA on the pair in which it is loaded has $1,000 loss, all positions on that pair will be closed and message to restart, displayed. Timer - Number of hours before close. Use this to turn off the EA after a certain number of hours. Multiplier - Multiply lot size on new ladder level.